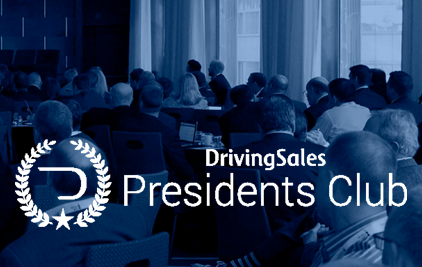 Outsell is proud to be a sponsor for the DrivingSales Presidents Club event this weekend, Sunday April 9 thru Monday April 10 at the Grand Hyatt in New York City. The DrivingSales Presidents Club is a forum for innovative dealers and general managers to collaborate in shaping the future of automotive retail. This event allows dealers to engage with their peers, who are pioneering new practices for their stores and groups. In depth discussion and interactive workshops allow for a deeper dive into maintaining the health of dealer businesses. As one of the attending sponsors, Outsell hopes to learn valuable insights from this event from participating dealers on what concerns they are facing, what some of them are doing to stay ahead of the current shift in the industry, and how we can work together for a successful 2017. Learn more about the DrivingSales Presidents Club.